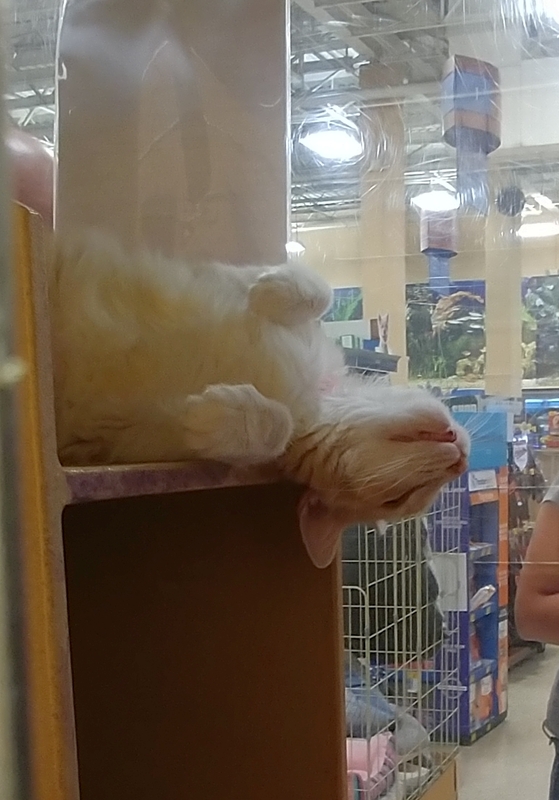 We were in the store to do some pet shopping and noticed Ginger was chilling. That sure is one way to wake up with a stiff neck, but look like they are having the best nap of all time. We all hope we could get as comfortable as that when we sleep. Thanks for the share. Have a great day.